We have initiated special facilities for all our TATA Commercial Customers to use Credit Card, Debit Card, Master Card. It will help to carry less Cash. Specially for all Commercial Truck Transporters, they can guide their drivers to avail this facility. Its a Free Facility, with no additional charges. 1. No Cash handling burdens. 2. Shop for as much value as you require. 3. Get Original receipt along with Tax Invoice for the Job done. Actually you can check the bill to be genuinely charged. 4. Get Instant message of Debit or shopping value by your Driver. 5. 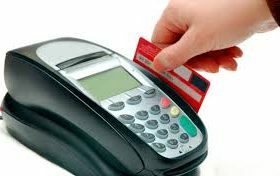 Avail Discount by Card Service Provider. © 2014 Copyright by Jk & Ravindra Automobiles. All rights reserved.Powered by : Casca IT Global Software Solutions Pvt.Ltd.